There are a ton of documentaries out there related to Family & Consumer Sciences. I’ve compiled a list by content area and included links to both the documentary and a viewing or discussion guide, if it was available, for easy access. 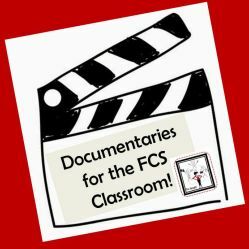 Documentaries can make great sub plans especially when you know you are going to be gone for a few days! Please share, in the comment section below, any documentaries that you use that you do not see listed and I will add them as well as any viewing or discussion guides. ← The Basics of Cake!